I LOVE this acoustic version of The Lost Get Found, by Britt Nicole. Enjoy! I’ve heard this song many a time on the radio, but just recently figured out who the artist was…it’s Aaron Shust! Take a listen…Click! I’m sort of in a rut, and thought I’d re-post a few things I wrote a few months ago. Hope you all don’t mind! Hopefully I’ll be able shake this “writer’s block” soon and come up with something fresh! Enjoy! About ten years ago, I went on a mission trip to France. While there I visited a few Roman Catholic Cathedrals. I visited Notre Dame, the Sacre Coeur, and a few other cathedrals in Lyon and Marseilles. Although the architecture is beautiful and breathtaking, one major impression that I walked away with was the striking prominence of Mary. Whenever I walked into one of these cathedrals my first impression was always drawn toward the altar, where most likely there was a huge statue of Mary??? Yes, Mary! Not Jesus! In one cathedral in Lyon, Mary was the main focal point of the altar. And in this cathedral they had several prayer rooms. One such prayer room was dedicated to Mary. It was full of icons and statues of Mary. The prominence of Mary was oppressive and distracting, to say the least. There is really no other way to describe it, but as Mary worship. 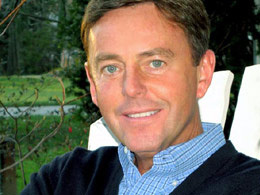 I really appreciate Alistair Begg’s ministry! I wish we lived near his church so we could attend there! But since that isn’t possible, I’ll have to settle for his radio broadcasts. Alistair recently underwent surgery to remove his prostate due to prostate cancer which has resulted in a lengthy recovery. In this short sermon, “Sweet Fruit From A Thorny Tree“, he relates what he has learned through his suffering. It is worth a listen! Also, you need to listen to find out why he can now relate to all women who’ve had c-sections (including myself, as I’ve endured two c-sections)!